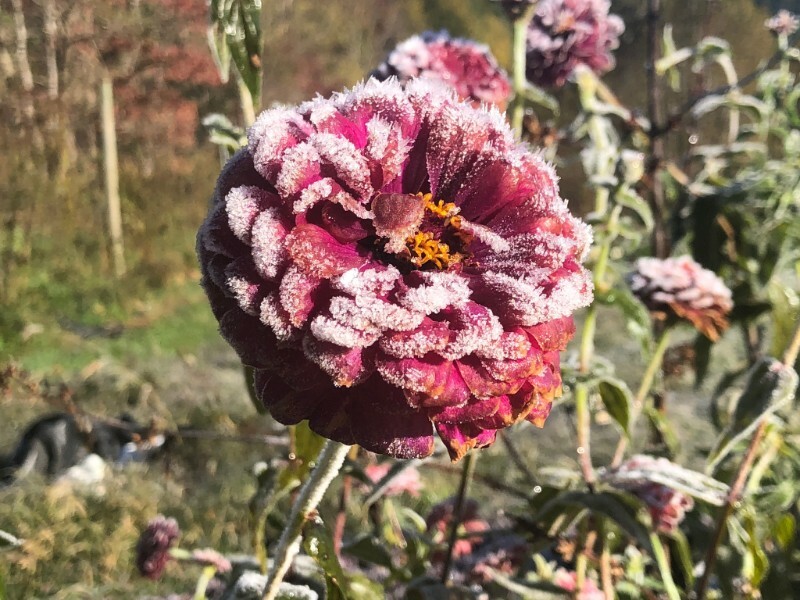 Many of us here in WNC have had our first “killing” frost this past Monday night, while many of our fall crops continue to grow and thrive in these frosty conditions, our summer crops such as basil, tomatoes, peppers, and many varieties of cut flowers are now gone. We’re including collard greens in your share again this week, because Jack Frosts kissing them will sweeten them up so they should be the most flavorful of the season. We’re still considering hosting a Killing Frost Celebration around mid November, so if you are up for pizza and a fire, be sure to email us so we can get an idea if there is interest in attending a Killing Frost Celebration. This is the time of year to celebrate the water used for keeping the crops/critters alive (especially Meadow Fork Creek), the sunshine, rain, all the microbial life in the soil that has grown your crops, the farmers’ who have worked so hard growing/raising the food and the people who eat the bounty from our mountain soil region each week throughout the season. For those who have subscribed to our FALL CSA, this is our final week of the season, so we’d appreciate it if you could bring bags/boxes to offload your share from our boxes. We can’t thank you enough for subscribing, because your support has been incredible for us, and especially important as we transition into agri-tourism. Just remember, in subscribing to a CSA or purchasing from the farmer’s market, when you choose to eat LOCAL and SEASONALLY, you are making a choice to eat more sustainably by voting with your dollars for a greener economy and a healthier environment in not having your food shipped here from across the country. Not to mention, eating fresh from the farm is more nutritious. SO THANKS EVERYONE WHO SUPPORTS LOCAL AGRICULTURE! You’ll find purple, yellow and orange baby carrots in your share this weekl!!! These carrots never grew up so we’re hoping you’ll use them up. That to us is the best part of both CSA’s, tailgate markets and farm to table restaurants. 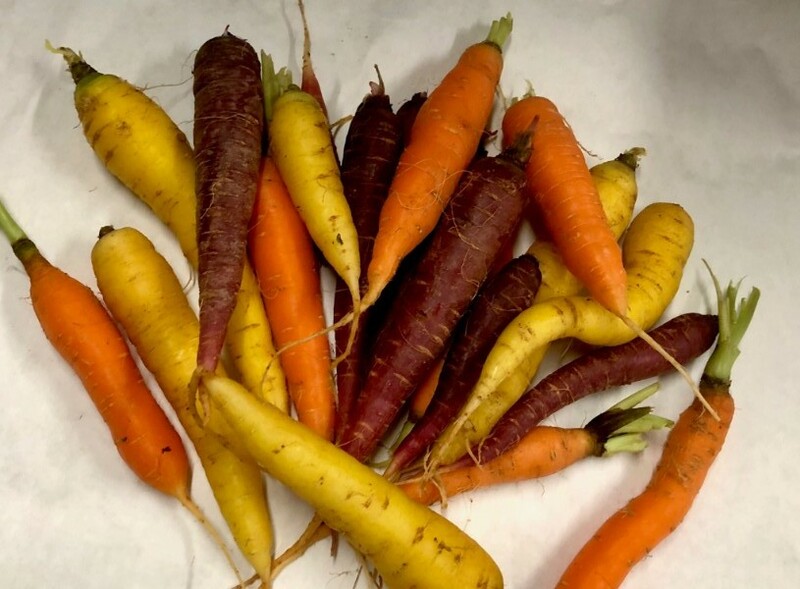 While a grocery store may not accept these carrots, we know that they are completely edible and are happy that they will not become “food waste”. They would be great in this recipe for roasted carrots from the NY Times, and the best part you probably either only need to halve them or roast them whole. These roots are rich in beta-carotene, which is converted into vitamin A in the liver. Vitamin A is transformed in the retina, to rhodopsin, a purple pigment necessary for night vision. We normally just cut them up and eat them in slaw, but we also enjoy them roasted. While carrots are sweet enough for our taste buds, on occasion will have candied carrots or carrot muffins.. We have rocky fields, so don’t expect perfectly sized carrots in these bunches! 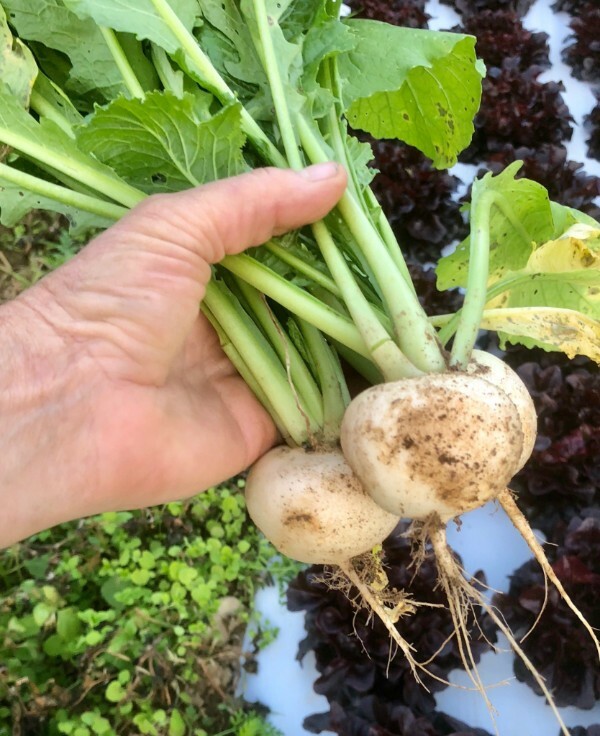 We’re harvesting off a new crop of hakurei turnips that are sweet and beautiful!!! Those pictured above were just plucked from the earth and haven’t yet been washed. To us it is amazing that nature will provide the nutrients we need for each season throughout the year. For example, during the summer we get so much of our vitamin C from tomatoes, sweet peppers blueberries; then during the fall and winter we can obtain this much needed nutrient from carrots and turnips. Turnips are jam packed with vitamin C yet low in calories. Vitamin C is helpful in preventing scurvy and one of the more notable symptoms of scurvy is the loss of and damage to teeth. Vitamin C is a necessary nutrient that helps the body absorb iron and produce collagen. This variety is delicious raw in salads or roasted or you might be interested in trying it in a slaw substituting peppers for carrots if you prefer that. Another favorite of ours is Spring Rolls where most any vegetable can go into these delicious wraps. They can be mashed with potatoes for a gratin which can be made vegan by substituting New Balance or an oil for butter and nutritional yeast for the cheese. We are loading up your share with an abundance of produce, so if you are unable to eat the entire share, please just take out items you don’t want and leave them on the shelf in the cooler or at the drop off site in Asheville. It is our way of thanking you for supporting MHO this season!!! 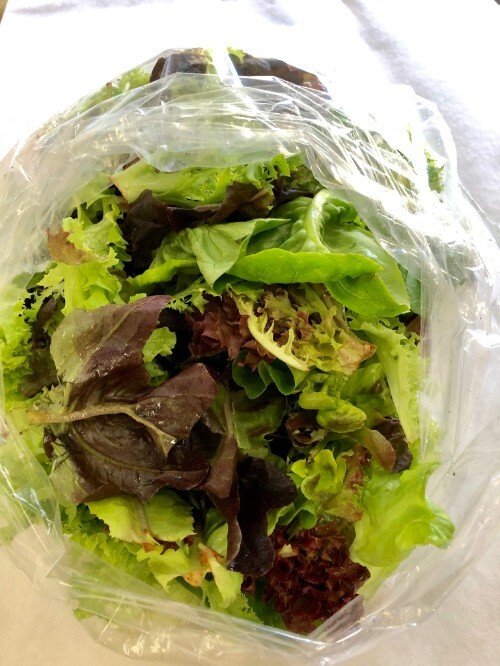 Lettuce: Salad Mix!! Great just to put in a bowl and toss with a salad dressing. Cherry Tomatoes: The last of the seasons tomatoes!!!. Our pints are a little smaller than we’ve given in previous shares but the perfect amount for a salad. Green Bell Peppers: The last of the seasons peppers!!!. This might just be the perfect time for either stuffing with ground beef and veggies or making a vegan stuffed pepper. Carrots: These babies are small but so sweet!!!. Don’t peel them or you won’t have anything to eat. Just scrub and roast the entire carrot whole. Radishes: Daikon. Perfect sliced for salads, roasted with carrots, or buttered for a snack. Turnips: Hakurei. Just slice and eat these in a salad. Roasting them will further sweeten them up. Sage: We are including small bunches of sage so you can make a sage pesto. We love sage pesto along with roasted butternut squash. Greens: Green Cabbage. This cabbage is great for stuffed cabbage rolls!! If you don’t feel like stuffing it, here is a recipe for unstuffed cabbage rolls. Greens: Red Cabbage. This cabbage is great for a slaw salad mixed with green cabbage, daikons, turnips! Ground Beef: Great for either cabbage rolls or stuffed peppers. With the flowers and summer vegetables gone for the year, we’re looking forward to a more relaxed work schedule!! 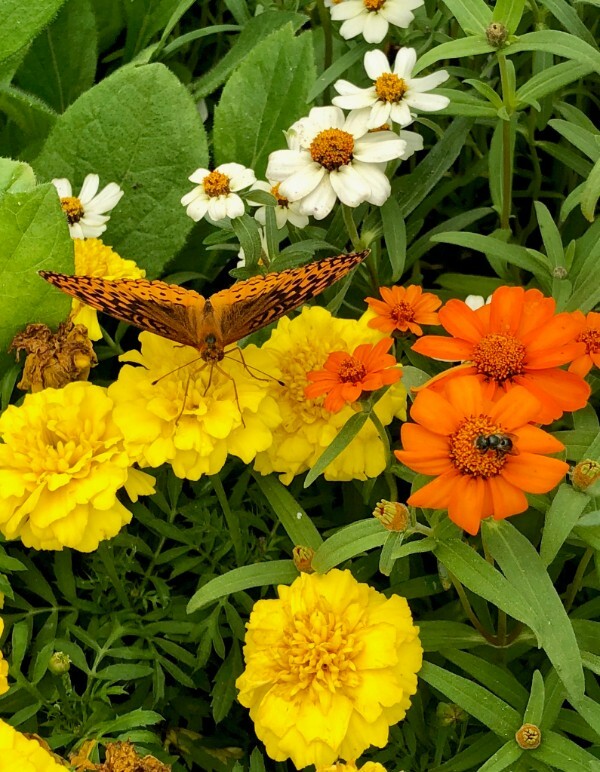 While Jack Frost has kissed the flowers and many summer crops goodbye for the season, we are looking forward to a more relaxed work schedule and tackling some projects that are on our backlog. The first project that we hope to tackle is getting the roof installed on the pavilion. After that, we hope to continue cutting the frame for Cabin #1. Since The Thistle which is our glamping site has been renting fairly well, we are not nearly as concerned about quickly getting the cabins built, because that revenue stream has been incredibly important for us and has kept us afloat this season. What are your plans for the winter months? We love this new study that suggests Organic Foods can prevent some types of cancer!!! What we love about the increasing popularity of organic foods since we became Organic Farmer’s, is that more research is being done in comparing the health benefits of eating an organic versus a conventional diet. Twenty years ago when we chose to become organic farmer’s, we had a “gut feel” that organic must be healthier for both the consumer and the earth. There wasn’t a lot of research, but we were incredibly thankful to Rachel Carson, who brought attention to the fact that many sprays used for controlling pests and disease, aren’t good for either us or the earth. We wanted to be a part of the solution to both our healthcare crisis and the contamination of Mother Earth. So we chose to make a positive change by being farmers, and you chose to also be a part of that change by growing your own food and/or buying into the organic and local food movement. An article was published this week that suggests eating organic is indeed better for you, “French study that followed 70,000 adults, most of them women, for five years has reported that the most frequent consumers of organic food had 25 percent fewer cancers over all than those who never ate organic. Those who ate the most organic fruits, vegetables, dairy products, meat and other foods had a particularly steep drop in the incidence of lymphomas, and a significant reduction in postmenopausal breast cancers”. We certainly hope that more studies are done to confirm the conclusion of this research project, but it does make us feel that we made the right decision in choosing to grow and eat organic. This week we have temporarily changed our job title from Farmer to Healthcare Practitioner, because when we look at the above photograph of a typical Summer CSA Share, we are thankful for all the nutrients that are provided to families on a weekly basis. All of those veggies pictured above are ORGANIC!!! 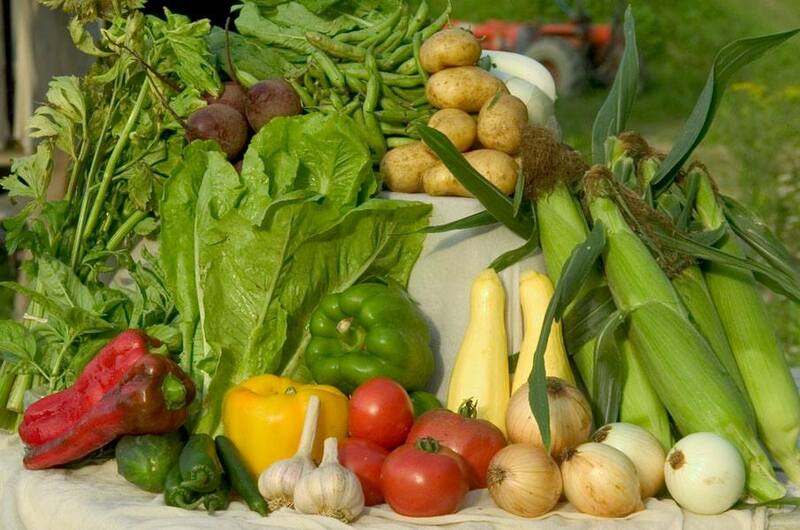 The photograph above is from a previous season when we were delivering a $25 CSA Share, but since that time we have decreased the share cost to $20, thus less veggies each week. For our planning purposes next year, please let us know what you think of the share size delivered this year? We decreased the size knowing that many of you can supplement your share in ordering additional veggies through our online store. 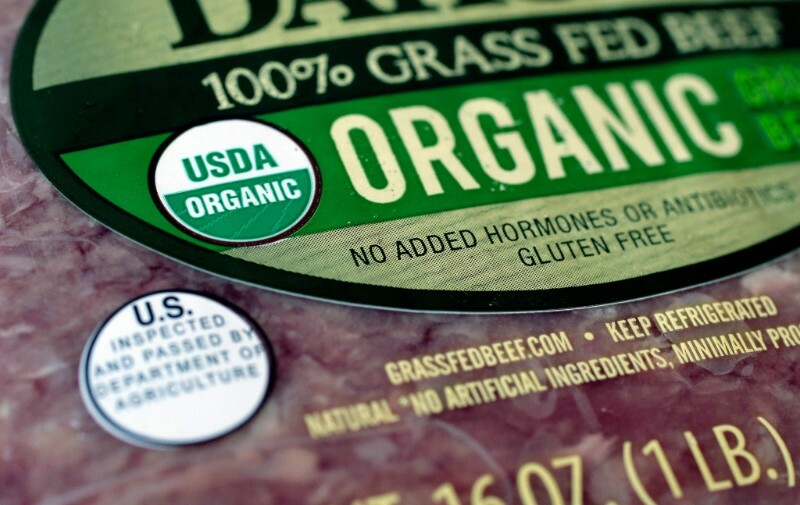 Eating organic isn’t just about human health! We know that all you readers are well aware that eating organic isn’t just about human health, because just as important is the health of the environment, and so many of the GMO crops and pesticides kill all of our beneficial insects. This large ecosystem is so important for the health and well being of the birds, and all other critters that inhabit our planet. We hope that all of us can have some conversations with our neighbors, folks we work with, and our elected officials about the importance of climate change as we decide who will be representing us in our states. We aren’t quite sure how we can elevate this critical issue so that it is just as important as tax reform, gun control, healthcare, and all the other important issues we are facing, but we as farmers feel it is among our most critical issue that needs addressing. While we’re out in the fields growing food, we can’t thank y’all enough for everything you’re doing in spreading the word about climate change and working with our elected officials for positive change to combat climate change.